“See, they say, how they love one another … how they are ready even to die for one another, for they themselves will sooner [be] put to death.” This was recorded not in Scripture but attributed to the second century writer, Tertullian, the pagan son of a centurion who converted to the Christian faith. Tertullian became convinced it was the true faith after witnessing the love and courage shown by Christian martyrs. This could very well be the theme of the new movie about the great apostle Paul and his biographer and author of the third Gospel, the Greek physician Luke from Antioch, who recorded Paul’s missionary travels and later his Roman imprisonment in the Acts of the Apostles. 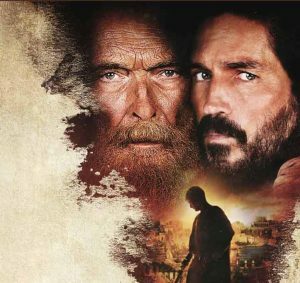 Paul, Apostle of Christ MOVIE DVD and Blu-ray release date is estimated for June 2018 and availability on Digital HD from Amazon Video and iTunes is estimated for June 2018. The opening scene of the movie is a rather dark street or passageway Luke is navigating on his way to visit Paul the Apostle who’s locked up in a Roman dungeon. On both sides of the street above his head on wooden crossbeams are burning bodies of Christians set ablaze by Nero’s soldiers, scapegoats for the burnt out city that was blamed on the Christian citizens by the murderous, deviant emperor. After numerous floggings, beatings, incarcerations, stoning, and shipwrecks, off went the apostle who was confronted with another shipwreck and several years of delays before arriving in Rome, his final destination and place of martyrdom. He arrived in Rome in 60 AD (est.) where he was again imprisoned for a number of years before his beheading. Jim Caviezel who played the gospel writer, Luke, in the movie said in a recent interview that he couldn’t get a job in Hollywood after his portrayal of Christ in the Passion of the Christ. “Being a Christian is not easy,” he reflected. “In fact it’s a hard path to follow.” He said the characters in the movie were strong but the words of Paul were stronger. Caviezel called attention to his portrayal of Christ and Faulkner of Paul. Faulkner had said that Paul played him; he didn’t play Paul. Both actors stepped aside in playing these remarkable roles to embody the persons of Christ (in the Passion), Paul, and Luke. Without disclosing details of the movie script, the Christ-like character of Paul shone through during the scene when some of the impassioned young Christian men sought revenge for the martyrdom of a young courageous boy who was a disciple and follower of the Way, members of the nascent Christian sect. 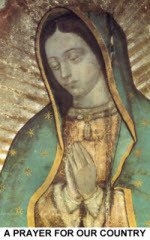 (Acts 9.2) Paul, vehemently opposed any violence, for in his words, violence must be repaid by love. “Love bears all things… endures all things.” (1 Cor. 13:7) Love overcomes all. I highly recommend this movie to everyone in the family as one of the best movies of 2018. The script develops well the relationship of the main protagonists, Paul and Luke, especially the magnanimous character of Paul, the great preacher of the New Testament, apostle to the Gentiles, who rejoiced in his suffering and in his flesh who completed “what is lacking in Christ’s afflictions for the sake of His body, that is, the church” (Col. 1:24), whose bountiful teachings were second in power and grandeur only to the Lord and Savior he loved so and then followed to his death.